Silver Fish-a small, wingless insect. Silvery light grey and blue color, combined with the fish-like appearance of its movements. Silverfish are nocturnal insects. Their abdomens taper at the end, giving them a fish-like appearance. The newly hatched are whitish, but develop a greyish hue and metallic shine as they get older. In urban areas, they can be found in attics, basements, bathtubs, and showers. Silverfish consume matter that contains polysaccharides, such as starches and dextrin in adhesives. These include book bindings, carpet, clothing, coffee, dandruff, glue, hair, some paints, paper, photos, plaster, and sugar. Silverfish can also cause damage to tapestries. Other substances they may eat include cotton, dead insects, linen, silk. During famine, a silverfish may even attack leatherware and synthetic fabrics. Silverfish can live for a year or more without eating. 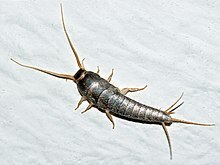 Silverfish are considered household pests, due to their consumption and destruction of property. However, despite being responsible for the contamination of food and other types of damage, they do not transmit disease. Earwigs, house centipedes, and spiders are known to be predators of silverfish. Most millipedes are slow-moving, eating decaying leaves and other dead plant matter. However, they can also be minor garden pests, especially in greenhouses where they can cause severe damage to emergent seedlings.Millipedes can have as few as eleven to over one hundred segments. They are generally black or brown in color, although there are a few brightly colored species. The millipede’s most obvious feature is its large number of legs. Having many short legs makes millipedes rather slow, but the many legs pushing in unison provides powerful strength for burrowing. Due to their lack of speed and their inability to bite or sting, millipedes’ primary defense mechanism is to curl into a tight coil – protecting their delicate legs inside an armored body exterior. Many species also emit various poisonous liquid secretions through microscopic ozopores along the sides of their bodies as a secondary defense. Millipedes do not bite, and their defensive secretions are mostly harmless to humans – usually causing only minor discoloration on the skin. Centipedes Despite the name, centipedes can have a varying number of legs from under 20 to over 300. Centipedes have an odd number of pairs of legs, e.g. 15 or 17 pairs of legs (30 or 34 legs).Therefore, there is no centipede with exactly 100 legs.Centipedes normally have a drab coloration combining shades of brown and red. 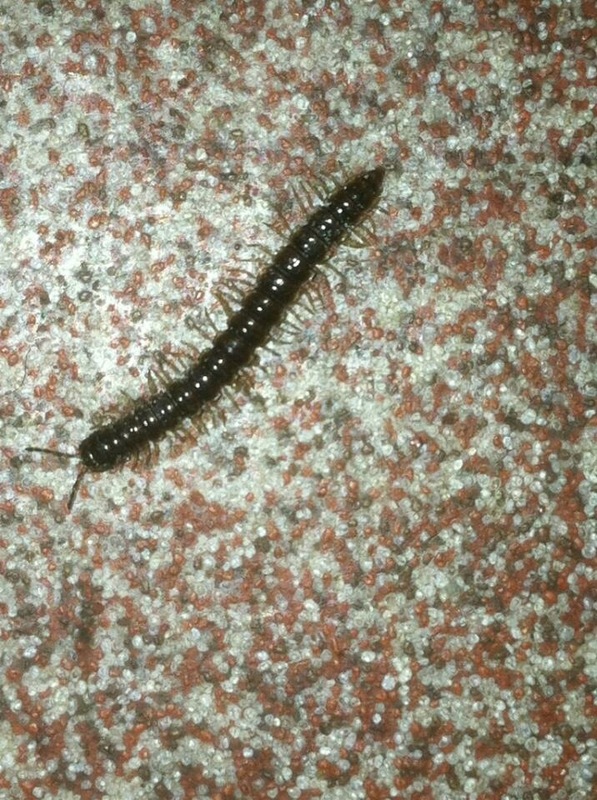 Centipedes can be found in a wide variety of environments but are mostly nocternal. They are found in soil and leaf litter, under stones and dead wood, and inside logs. 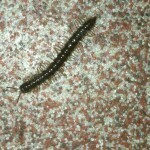 Some species of centipede can be hazardous to humans because of their bite. Although a bite is usually very painful it is unlikely to be fatal. Bites can be dangerous to small children and those with allergies to bee stings. The bite of larger centipedes can induce anaphylactic shock in such people. Smaller centipedes usually do not puncture human skin. Insect some what related to grasshoppers.They tend to be nocturnal and are often confused with grasshoppers because they have a similar body structure including jumping hind legs. Crickets are harmless to humans. Counting the number of chirps produced in 14 seconds by a cricket common in the United States and adding 40 will approximately equal the temperature in degrees Fahrenheit. As the temperature falls, the rate of chemical reactions inside the crickets’ bodies slow down, causing characteristics, such as chirping, to also slow down. This is why you don’t hear crickets “chirping” as much in the winter. 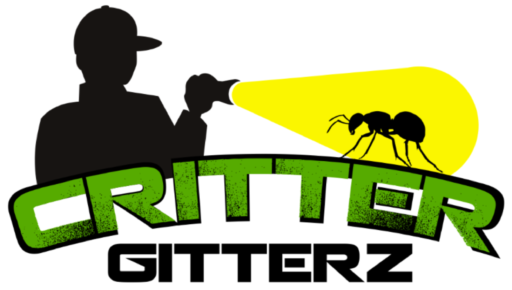 Crickets are omnivorous scavengers who feed on organic materials, including decaying plant material, fungi, and some seedling plants. Crickets eat their own dead when there are no other sources of food available, and exhibit predatory behavior upon weakened, crippled crickets. Crickets mate in late summer and lay their eggs in autumn and the eggs hatch in the spring. Box Elder Bugs are found primarily on Boxelder trees, as well as maple and ash trees. The adults are about dark brown or black coloration, relieved by red wing veins and markings on the abdomen; nymphs are bright red. They may form large aggregations while sunning themselves in areas near their host plant (e.g. on rocks, shrubs, trees, and man-made structures). However, their congregation habits can annoy people; thus, they are considered nuisance pests. This is especially a problem during the cooler months, when they sometimes invade houses and other man-made structures seeking warmth or refuge over winter. They remain inactive inside the walls (and behind siding) while the weather is cool. When the heating systems revive them, some may falsely perceive it to be springtime and enter inhabited parts of the building in search of food or water. In the spring, the bugs leave their winter hibernation locations to feed and lay eggs on maple or ash trees; aggregations may be seen during this time and well into summer and early fall, depending on the temperature.